Differences among generations on a wide variety of outcomes are of increasing interest to organizations, practitioners, and researchers alike. The goal of this study was to quantitatively assess the research on generational differences in work-related attitudes and to provide guidance for future research and practice. We conducted a meta-analysis of generational differences on three work-related criteria: job satisfaction, organizational commitment, and intent to turnover. Our review of published and unpublished research found 20 studies allowing for 18 generational pairwise comparisons across four generations (Traditionals, Baby Boomers, Generation Xers, and Millennials) on these outcomes using 19,961 total subjects. Corrected mean differences for job satisfaction ranged from .02 to .25, for organizational commitment they ranged from −.22 to .46, and for intent to turnover the range was −.62 to .05. The pattern of results indicates that the relationships between generational membership and work-related outcomes are moderate to small, essentially zero in many cases. The findings suggest that meaningful differences among generations probably do not exist on the work-related variables we examined and that the differences that appear to exist are likely attributable to factors other than generational membership. Given these results, targeted organizational interventions addressing generational differences may not be effective. This is the first known quantitative review of research on generational differences in the workplace. The views, opinions, and/or findings contained in this article are solely those of the author(s) and should not be construed as an official Department of the Army or DOD position, policy, or decision, unless so designated by other documentation. The authors wish to thank Michael McDaniel, Jose Cortina, Allison Brown, and the anonymous reviewers for their very helpful advice, guidance, and feedback on this manuscript. *Hess, J. & Jepsen, D. M. (2009). 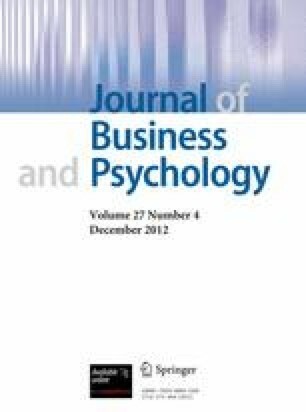 Career stage and generational differences in psychological contracts. Career Development International, 14(3), 261–283. doi: 10.1108/13620430910966433. International Labour Organization. (2010). LABORSTA [Database]. Retrieved from http://www.ilo.org/global/What_we_do/Statistics/lang-en/index.htm. TIME. (1951). The younger generation. TIME, LVIII. Retrieved from http://www.time.com/time/magazine/article/0,9171,856950-1,00.html. Trzesniewski, K., H., Donnellan, M. B., & Robins, R. W. (2008). Do today’s young people really think they are so extraordinary? An examination of secular trends in narcissism and self-enhancement. Psychological Science, 19(2), 181–188. doi: 10.1111/j.1467-9280.2008.02065.x.